As innovative cultivation techniques, particularly in freshwater pearls, get more advanced, the pearls available to the pearl lovers of this world just keep on getting bigger. 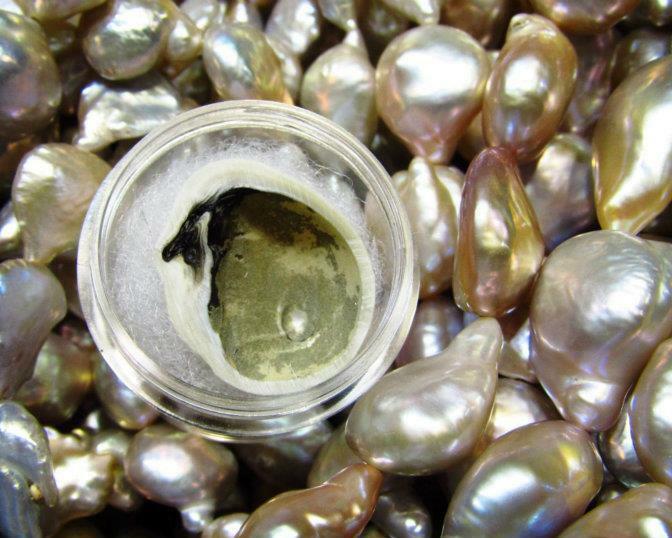 Soufflé pearls that are hollow inside and so-called “Edison” pearls (bead-nucleated) were amongst the best representatives of these large pearls, with sizes ranging from 12 to a whopping 27mm! 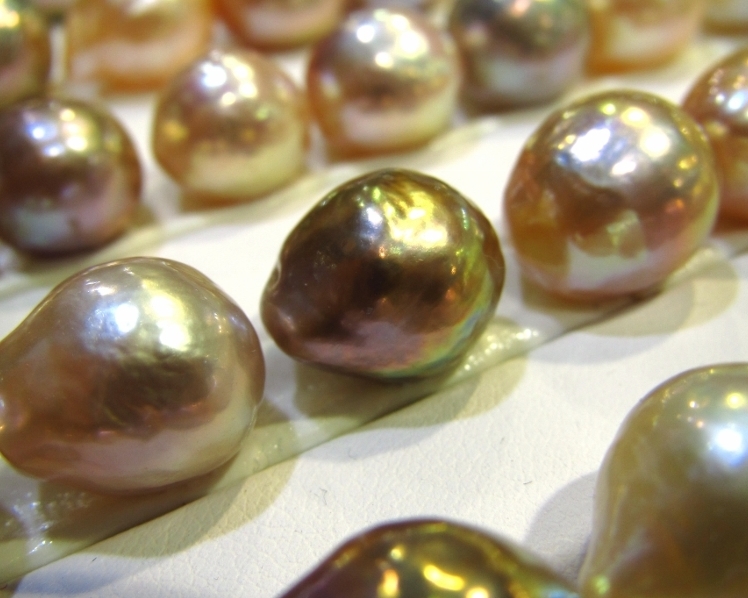 Also, 20mm+ baroque pearls were present at virtually every wholesale stand. If you’ve always wanted the largest pearls you could afford, please take notice: “largest” has now changed its meaning for good! Souffle pearls. Large but light. Yay! Finally, a wider public has begun to accept that beautiful pearls are not always round! We absolutely loved these huge baroque pearls paired for earrings, or even larger shiny nuggets, seemingly predestined to be beautiful pendants around a lucky girl’s neck. Their organic shapes are very mysterious and yet so modern! Nicely matched large baroque pearls for earrings. So in! Let’s face it. The recent enormous surge in the prices of precious metals like gold and silver has forced jewelers to innovate and turn to other materials for jewelry-making. We saw an amazing quantity of innovative and very beautiful pearl jewelry that incorporated strips of leather, dyed in the hippest colors of the season, neoprene tubes, or carved gemstones that made up for jewelry elements usually made of metal. We particularly loved this combination of a Tahitian pearl on a zebra-patterned leather bracelet and a large golden South Sea pearl ring where the ring band was made of black onyx. 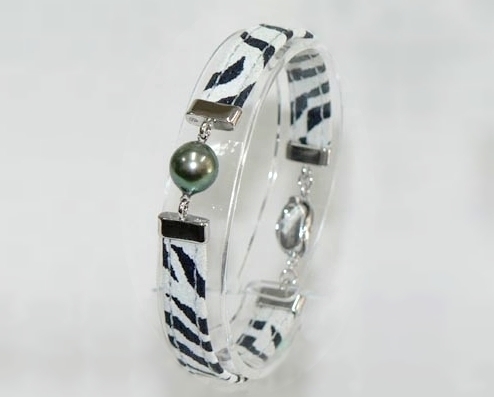 Tahitian pearl on a zebra patterned leather bracelet. Fun combination! Overall, we’d say these are all changes for the better. New materials, new shapes, new colors, new sizes - it all gives us more choice, and makes our beloved pearls even more versatile!